Are you in the mood for a new retro racing experience? Feeling bored with all the other car games out there? Well you’re in luck, because there’s a great and exciting new retro racing game out there for all android users to enjoy! The name is called Road Fun Games Car, and it is a cool new racing game filled with pleasure and excitement. 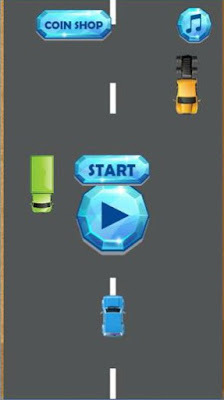 Road Fun Games Car’s goal is simple and enjoyable. You have to drive your car and avoid any incoming vehicles from the opposite side. The gameplay is straightforward, and all you have to do is survive for as long as you can for a bigger high score. There are also coins that you will need to focus on getting during your playtime. The great thing about this game is that you can then later use those coins to purchase brand new cars, which you can later ride in the next level. The game is very retro, and it will surely remind you of the time when you played games on consoles. It is a great fit for anyone that likes simplicity and enjoyment out of their android games. If you’re interested, you can find and download the game from Google Play.